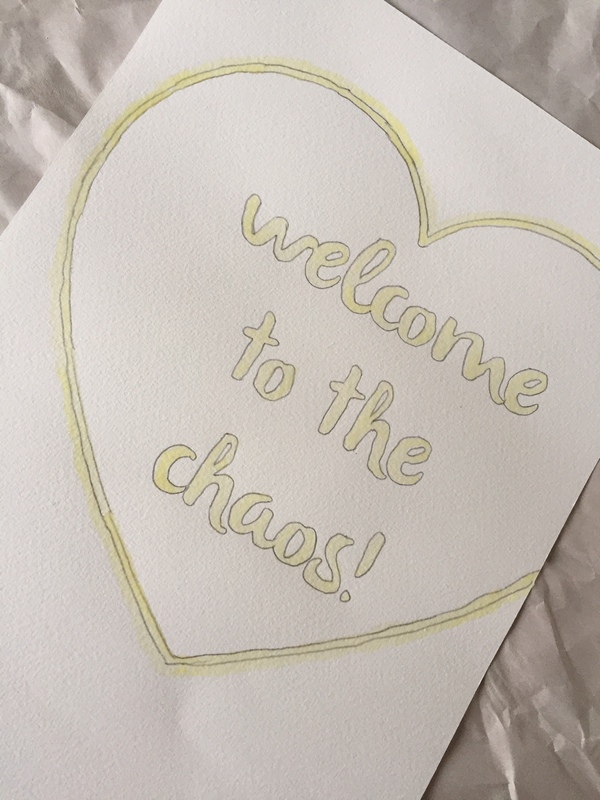 One day, I was just looking through the search option, (this is a great option to look through if you want more people to follow on Instagram, you can see what others are posting) and I stumbled across Clever Poppys DIY Kit- Easy Watercolour Art. I thought the finish of the work was really lovely and looked like it wouldn’t be too tricky. I love arty crafty things, as some of you may know (hence my blog name), I’m all about the craft. I have too many craft supplies, (so my husband says) but I dont think you can ever have too many?! 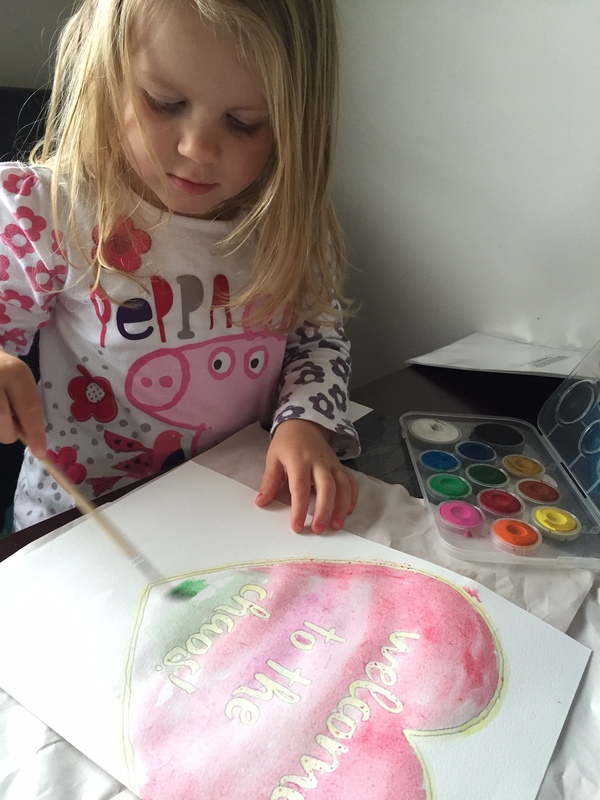 The main thing that caught my attention about the DIY art kit is it is something that can be done with kids. My Little Miss, just loves crafty things. And I really like to be able to do things that include both of us. 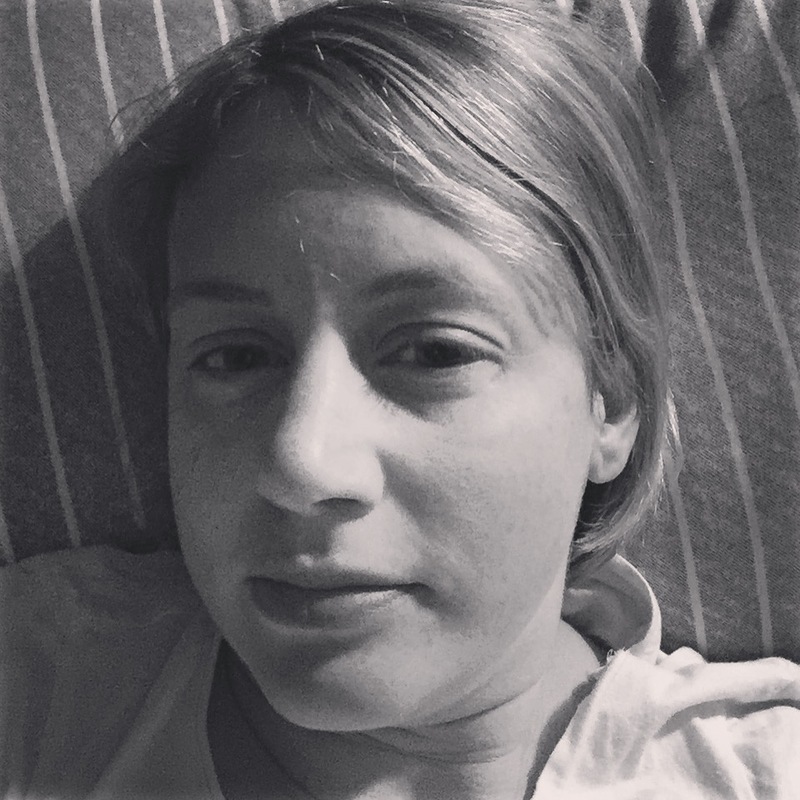 Julie is the lovely lady behind Clever Poppy, I sent her some questions, and here are her answers. I have always been passionate about DIY projects and have made many I love over the years. I recently noticed that DIY projects were becoming quite popular in mainstream media, but while most people love the idea, they don’t have the time spare to get sorted to make projects of their own. So I created Clever Poppy to make it easy for people to experience the fun of creating something beautiful for their home. I studied law and graphic design at uni -wish now I had chosen something in the arts field! After practicing commercial law for 4 years and pretty much hating every minute of it, I finally got the courage to completely change tack and moved into a brand experience / promotions agency. I did that for 3 years and learnt a hell of a lot about marketing and project management, and realised how much happier I was doing something creative. 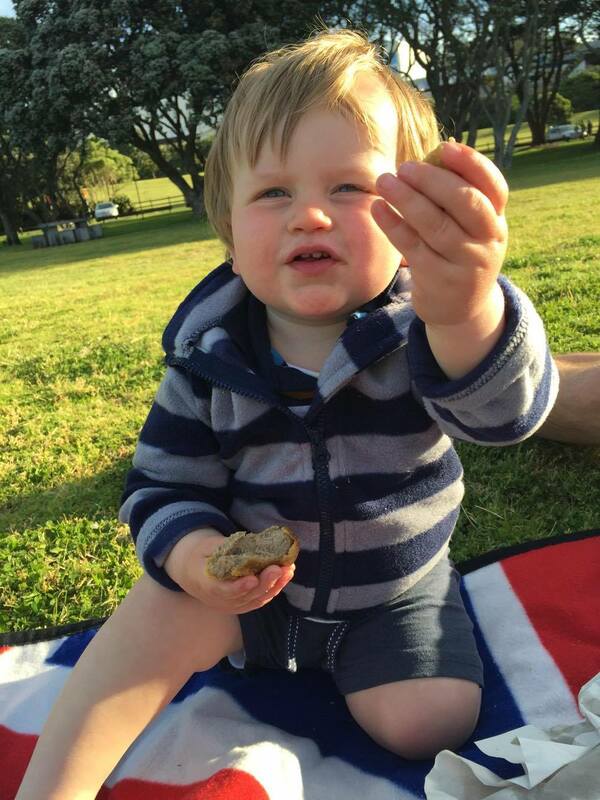 Then I went on maternity leave to have our little man Harvey. While I was on leave I gained a lot of perspective and realised I just had to follow my dreams and start my own business doing what I love. I still work part time in promotions but my main focus is Clever Poppy and this will hopefully become full time down the track. Very exciting and I’m loving every minute so far!! Do you sell your kits anywhere or just on the Internet? At the moment I only sell online, but I’m looking into getting them into stores next year. She did feature in some markets in Auckland leading up to Christmas, lucky Auckland! How long have you been doing Clever Poppy? I launched Clever Poppy on 7th August 2015, so it hasn’t been very long! I can’t believe that, it feels like I’ve been doing this for a lot longer, but I guess if you take into account all the planning and prep then it all kicked off in March last year. Where do you hope to see the business in a few years time? 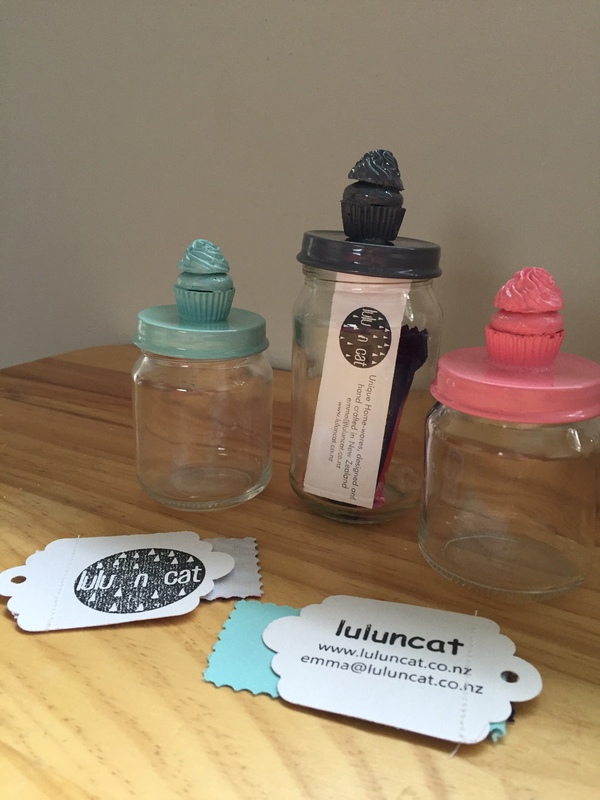 I would love to be New Zealand’s go-to brands for creative DIY projects! I’ve love to have a variety of kits for sale on my website and in stores nationwide. I also would love to do more freelance work developing DIY projects for third parties. Do you have a favourite DIY kit? My DIY Cooper Magazine Rack for sure. 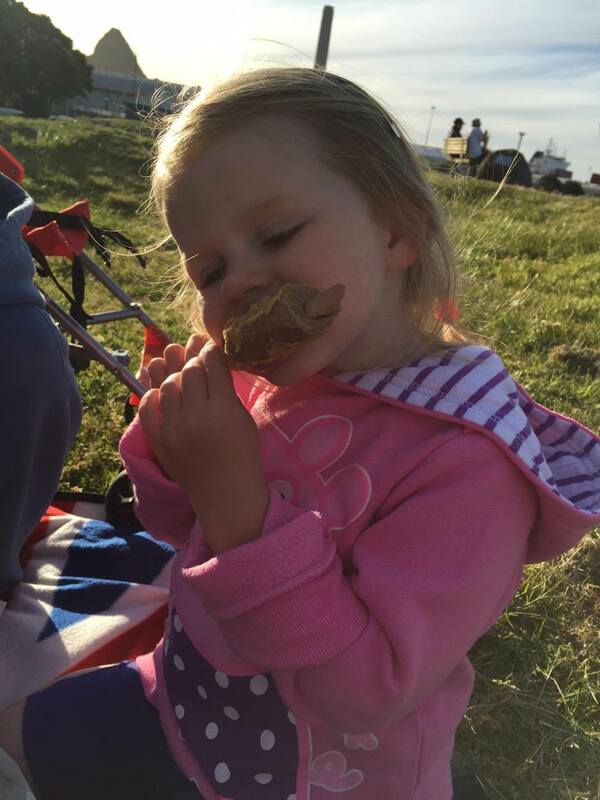 What’s next for Clever Poppy? Are you able to share what you are planning on doing next? At the moment my focus is on getting the Clever Poppy brand and concept into the marketplace, and testing various kits to see what gets people excited. Next year (now this year 2016) I’d like to focus on developing kits for wholesale, so you can find me in shops around the country. I’m also working on some freelance project where I am developing DIY projects for third parties, so I’m very excited about where that might lead. I purchased the DIY- Easy Watercolour Kit for $30, I was really keen to give it a go after seeing what others had created. I loved the idea that everything you needed was in the kit and it would be something that Little Miss would enjoy too. It was money well spent in my opinion. 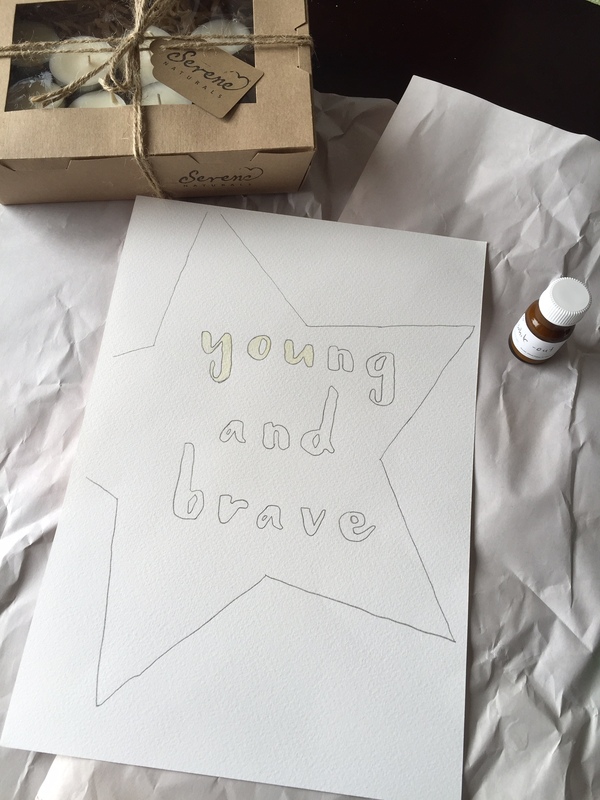 Watercolour paper, paintbrushes, watercolour paint palette, ‘magic’ white-out liquid and DIY wooden poster hanger as well as really clear instructions, with photos to assist you step-by-step. I needed to trace the design and apply the white-out liquid but once that had dried I gave Little Miss free reign to paint away. 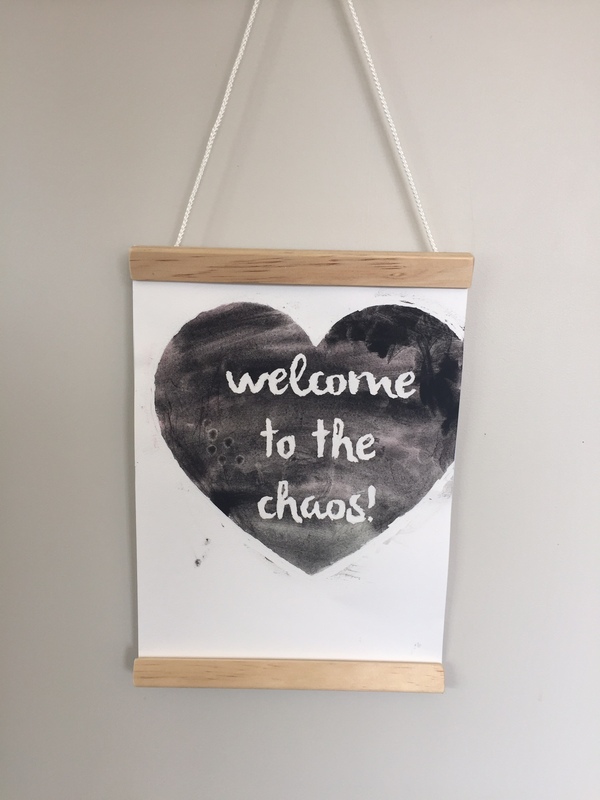 When we did the ‘Welcome to the Chaos’ design, Little Miss applied pink and red paint and it looked lovely, but then she discovered the black paint! I really wanted to stop her, but I knew I just had to leave her to do what she wanted and in the end the result looked FAB! I used the wooden hanging poster kit to hang it up, and now it hangs in own home. 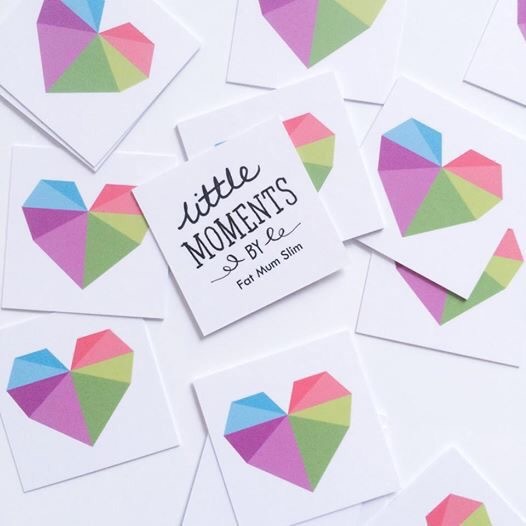 I have now bought three kits by Clever Poppy and through following her on Instagram, Facebook and Pinterest you can keep up-to date with new kits she is either developing or has released. 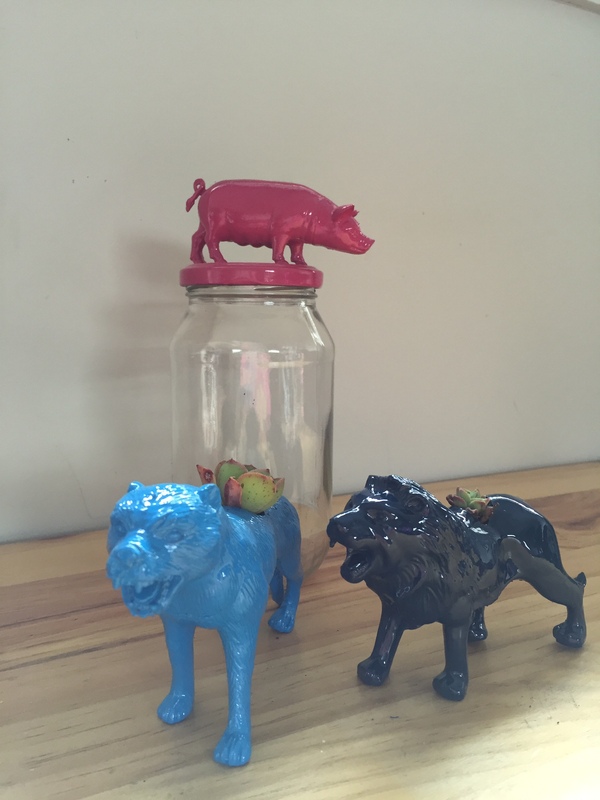 Julie also shares some great DIY ideas you can do at home with the kids or without them. Just the other day Julie shared that she was looking to add more deisgns to the DIY- Easy Watercolour Kit, I cannot wait to see what deisgns she comes up with. 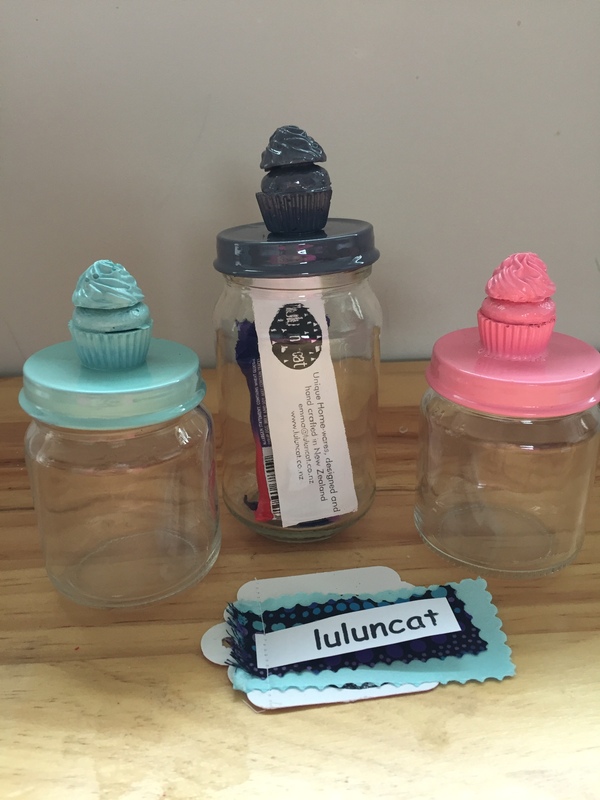 If you haven’t heard of Luluncat before, you have been missing out! 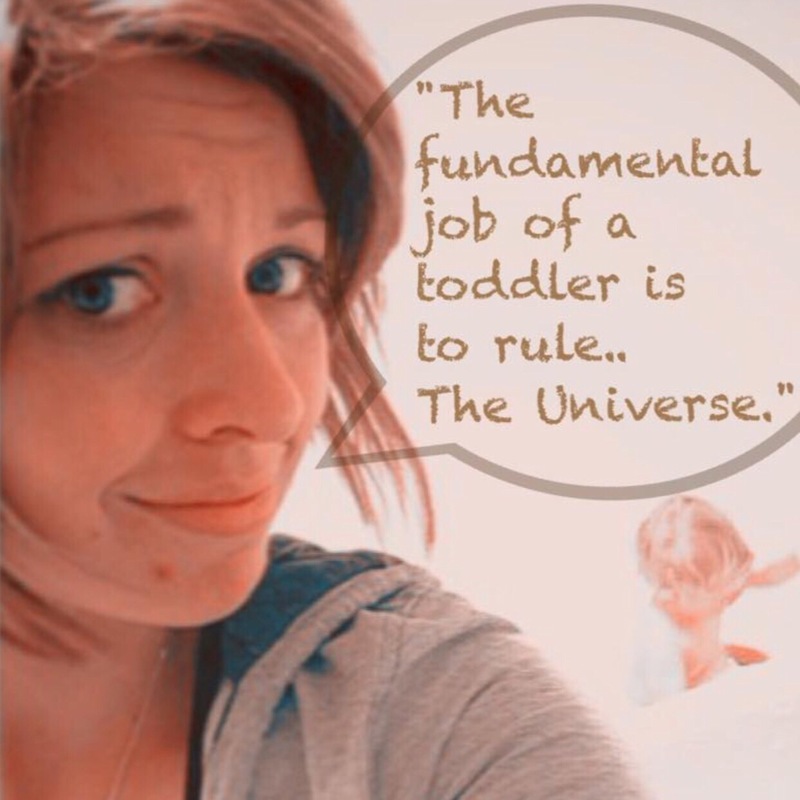 Hopefully after reading this blog post/review you will love the stuff that Emma creates. I found Emma of Luluncat on my Instagram feed one day. 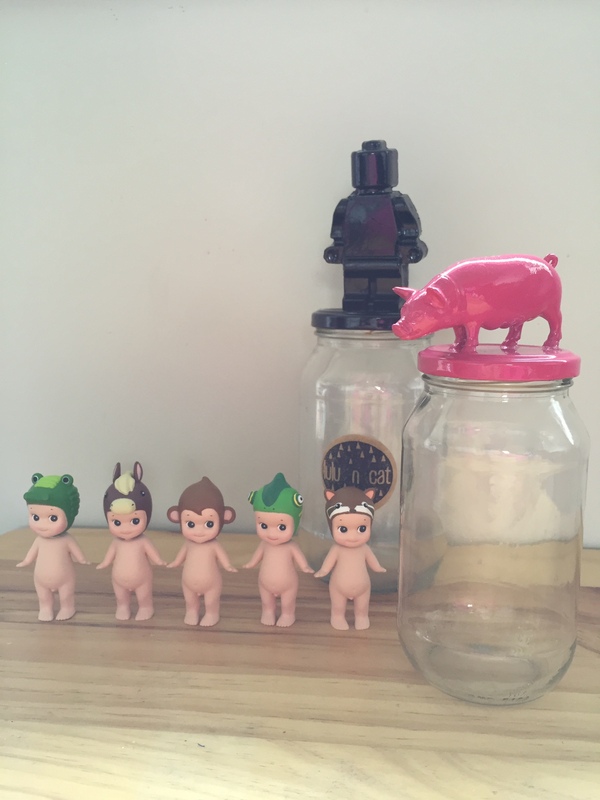 The items that she creates really caught my eye, so I began a spot of Instagram stalking. I decided I would get in touch and offer to do a review for her. 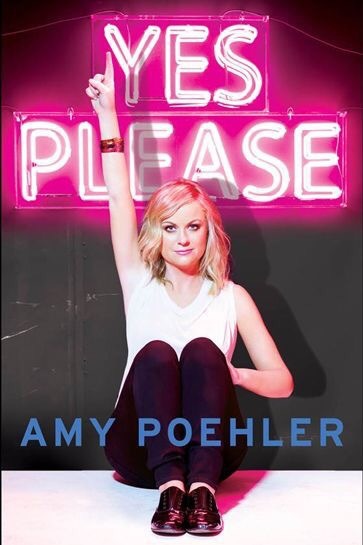 I discovered she based in New Plymouth where I live, how cool! We began messaging each other and I asked her questions for the blog post, plus I have had the opportunity to meet her, in her home. 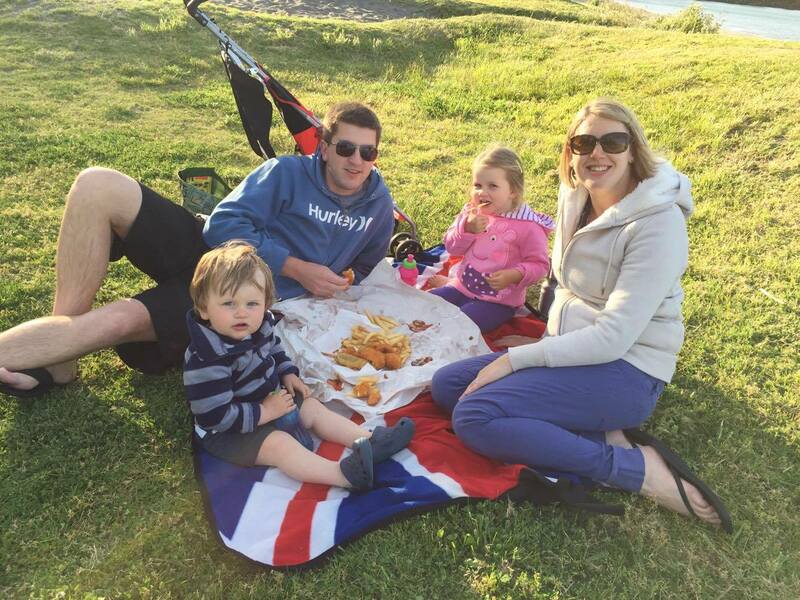 Emma is married to a builder and they are currently renovating their home in New Plymouth. She is Mum to Chelsea aged 2.5 and Millen who recently turned one. 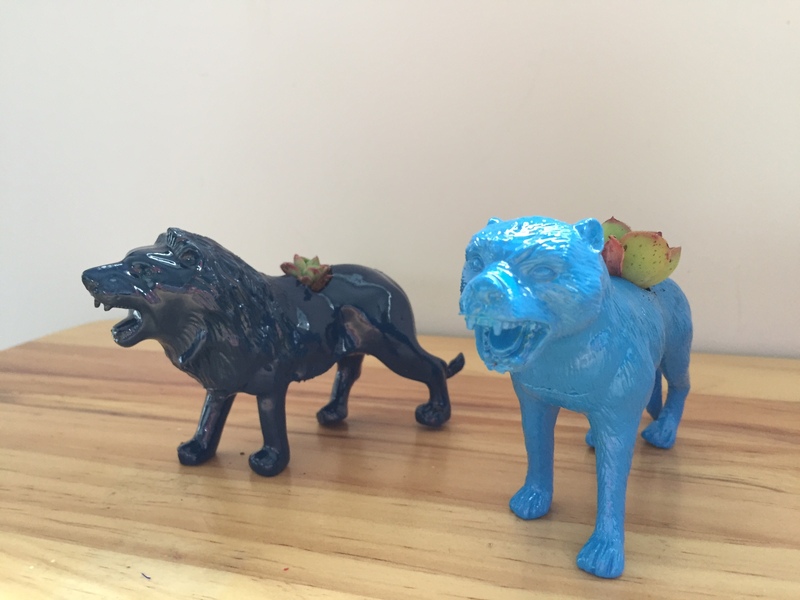 They are delightful kiddies and I was made to feel very welcome when I went to Emma’s home to look at her work. The photos of Emma’s work are fab, and it was a really greatopportunity to actually go and see everything. 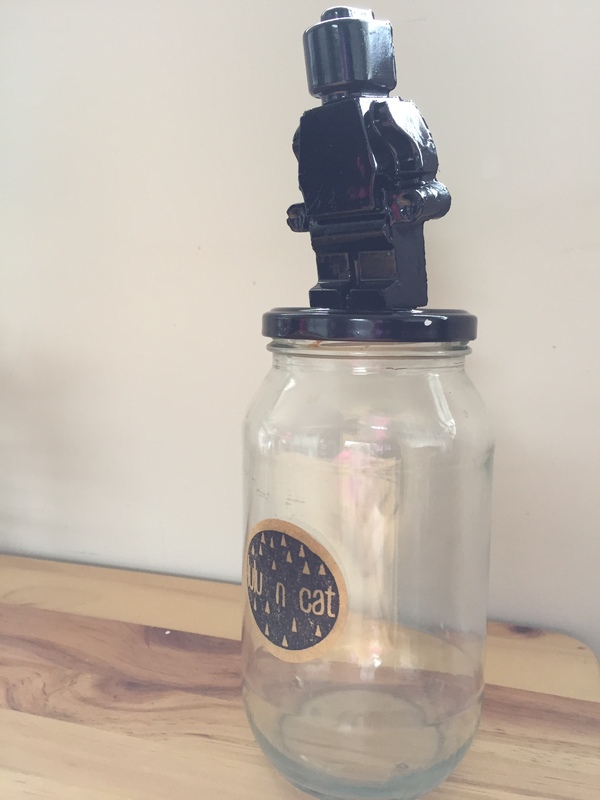 Plus its nice to put a face to a name and ask a little about how she creates her jars. As soon as I saw the cupcake ones, I knew I had to have one (or two!). 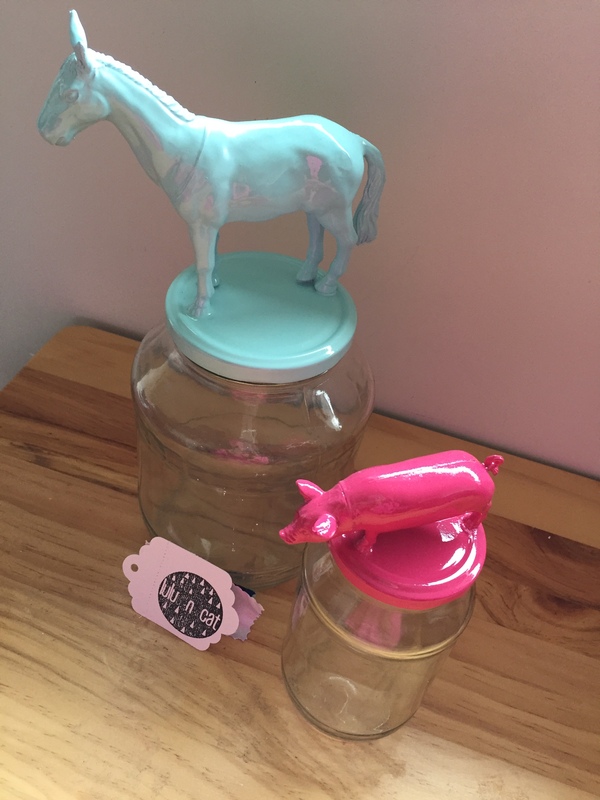 Plus those that know me personally know I really like pigs, so I think the pig jar may have found a new home! I’m really keen to showcase small New Zealand businesses, I think it is AMAZING what people can create and it’s great that they want to share their creations with the public. Plus, I do like original pieces of art/craft as well as mainstream items. 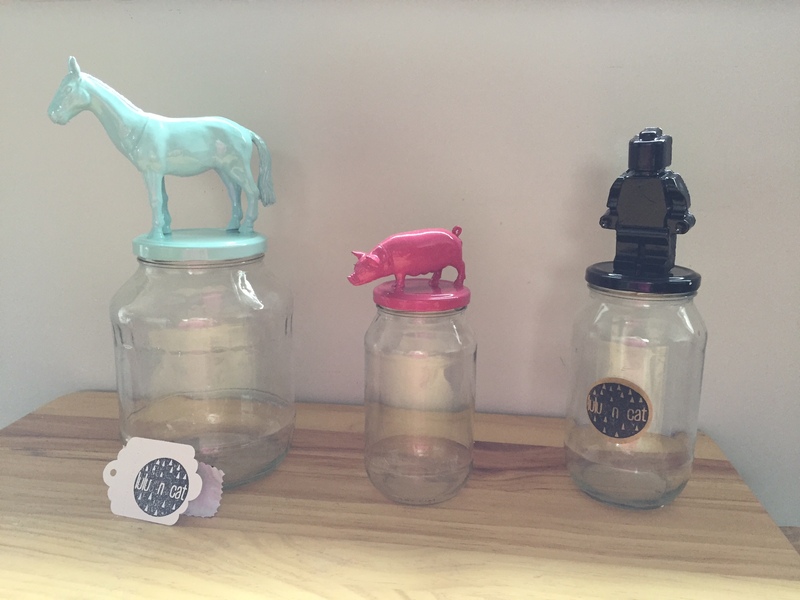 Emma has her Lego jars currently in Kina which is on Devon Street in central New Plymouth. So those of you reading this who live in New Plymouth, go and check them out! How did you choose the name LulunCat? I call my Husband ‘Lulu’ and one day when I was brainstorming with a friend, I loved the sound of luluncat – of course we are cat people too, so that helps! Why and when did you start LulunCat? Luluncat has been running for about a year now. What is your biggest inspiration behind your work? My biggest inspiration would have to be how home decor has suddenly boomed, it’s so much fun seeing all the trends and working from them. What do you see in the future for LulunCat? Hopefully we will have more stock in shops and will be able to get to the markets more often. I hope to continue to launch new ranges. 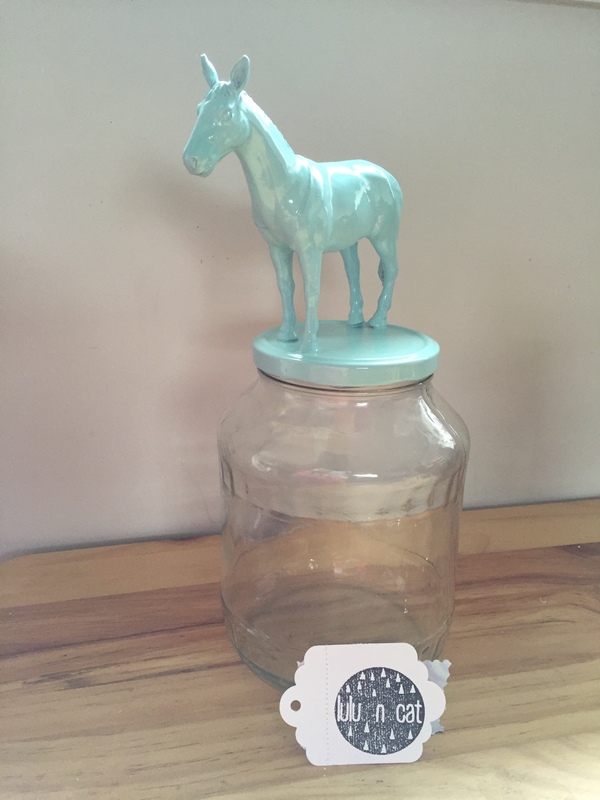 I am hoping to build on our range of op shop finds (Chelsea and I love to shop) I find cool things and upcycle them, so they are truly unique pieces! Do you have any favourites? If so what are they? Favourites in my stock? Sure do! 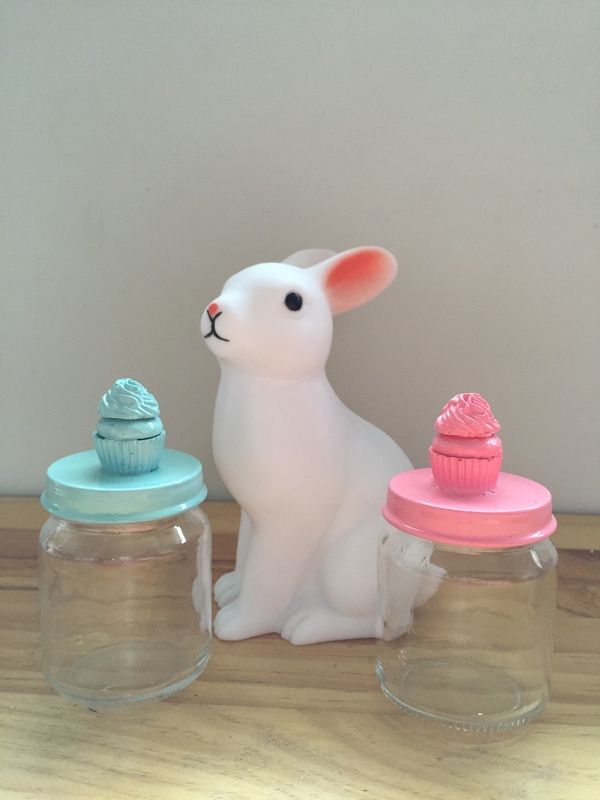 The cupcake jars, are just the sweetest things, my photography of them don’t do them justice! It’s a bit of a process to make them, but I love the finished product! I buying these two jars!!! Like what you see? Follow the links, to purchase or contact Emma. If you decide to make a purchase mention you read the review on my blog and you will receive a 10% discount for the month of November. See, I told you Emma was lovely! When I visited Emma she showed me the things she is getting ready to sell at a market in Auckland, I wish her loads of luck with it. She is currently working on planters, here are some photos of the a couple of them. I really like the different shades of blue. Thanks for reading and happy shopping to some of you! If anyone ever has any spare jars, I’m sure Emma will be happy to take them off your hands, especially baby food jars. Just contact myself or Emma. NB: Photos are all my own, I was lucky enough to borrow some Emma’s creations to take home and photograph. 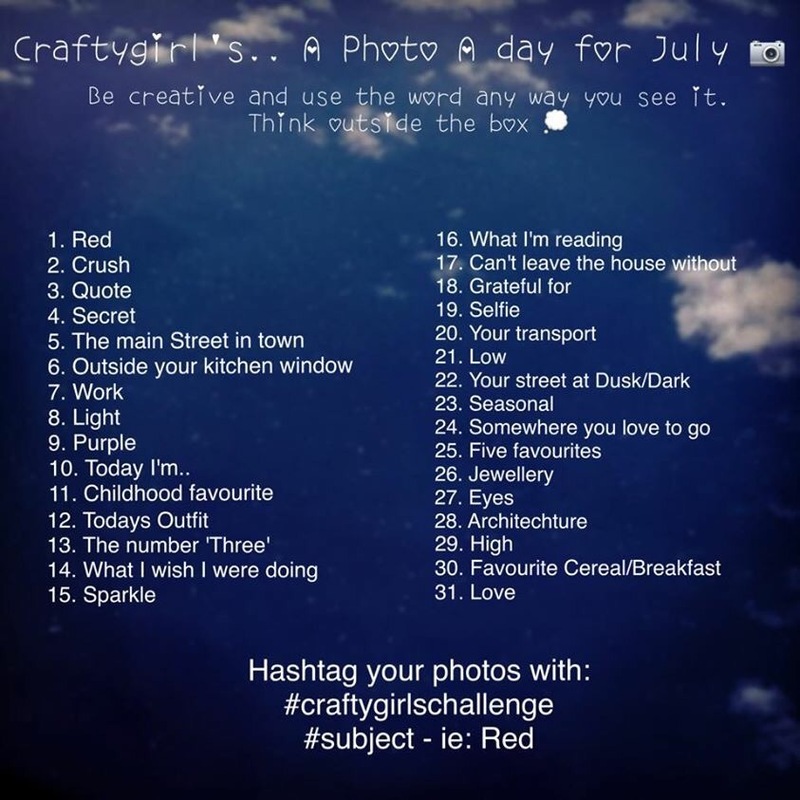 My lovely blogger friend Bec at twodaysgirl asked me if I wanted to collaborate and do a photo a day challenge. 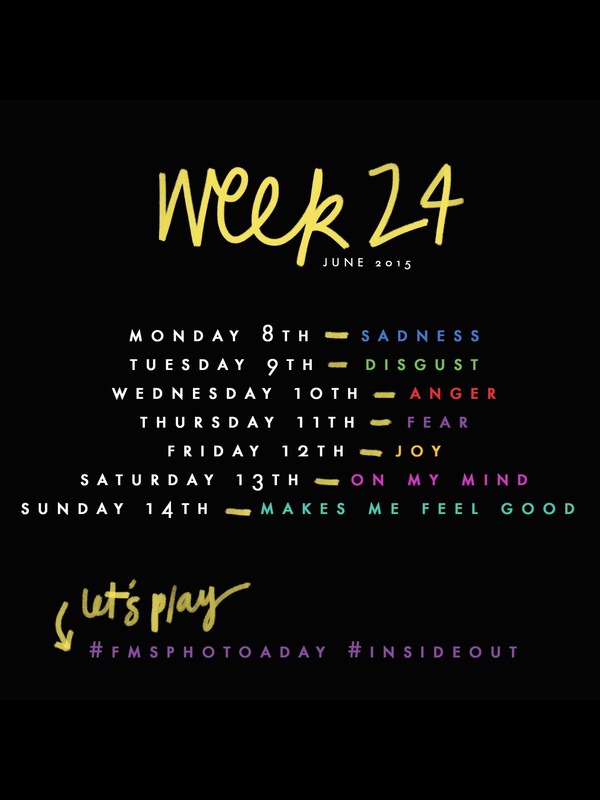 As some of you may know, I rather enjoy a daily photo challenge so I thought this was a great idea. 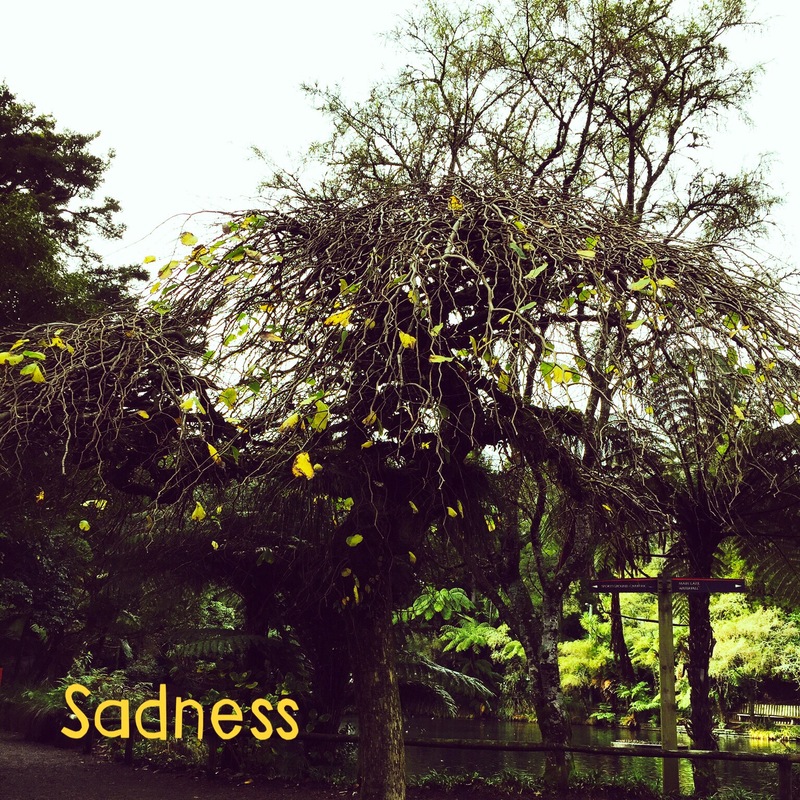 We each thought of half the prompts and then twodaysgirl made the design up using a photo I took. When I was looking through my camera roll for a photo I realised how I don’t actually have many or any of landscapes or something pretty, it mainly the kids. I do love taking photos of the kids and it’s so handy having a phone that takes good photos. I’m definitely going to make a conscious effort when I’m out and about to try and capture some more photos of landscape, nature and generally anything I consider to be cool. We also needed a name. I was thinking a combination of both our names would be good, Craftygirls came to my mind straight away. I quickly checked with Bec at twodaysgirl and she was happy with it. I thought it was funny how quickly I thought of the name considering it took me ages to think of craftyorganisedme. We’re planning to do the photo challenge each month. It would be great to see some of my family and friends trying it out. I know taking photos isn’t for everyone and people are generally busy with work and family but don’t worry if you miss a day, you can always play catch up or just skip the day altogether! 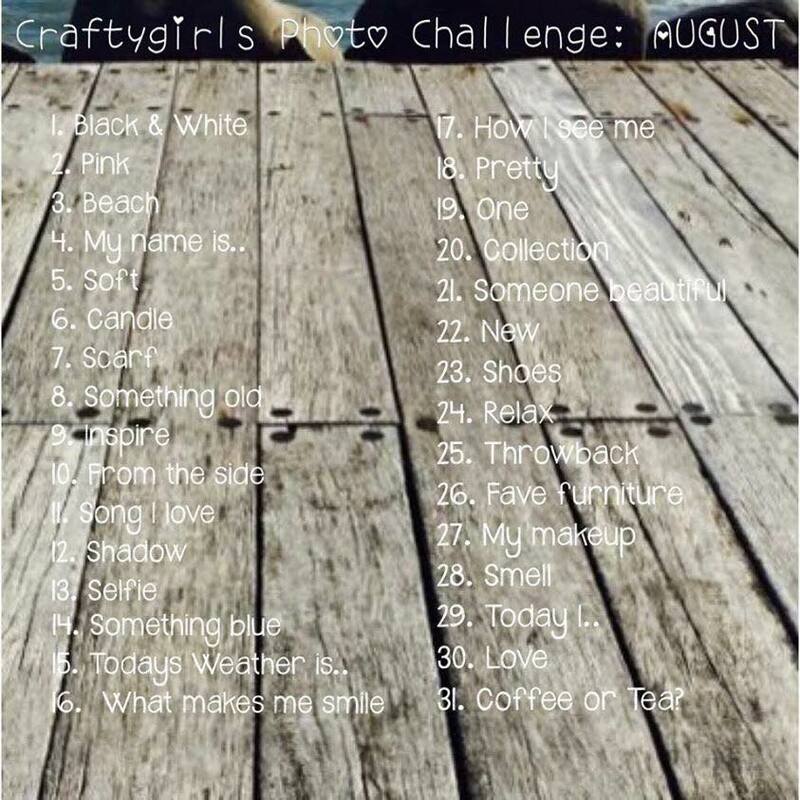 If you have an Instagram account, use #craftygirlschallenge.